It’s been weeks since my last post, and admittedly it’s because the garden is buried in snow. But here’s to new beginnings, and I’m ready to get back into the game. Even though I’ve been driven indoors, there’s lots to do. 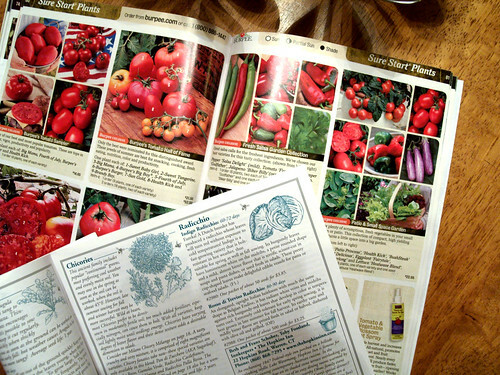 In fact, I’m already salivating over the seed catalogs that are beginning to trickle in the door. I am right there with you. Surrounded by seed catalogs dreaming about the day the snow melts and the sun comes out.